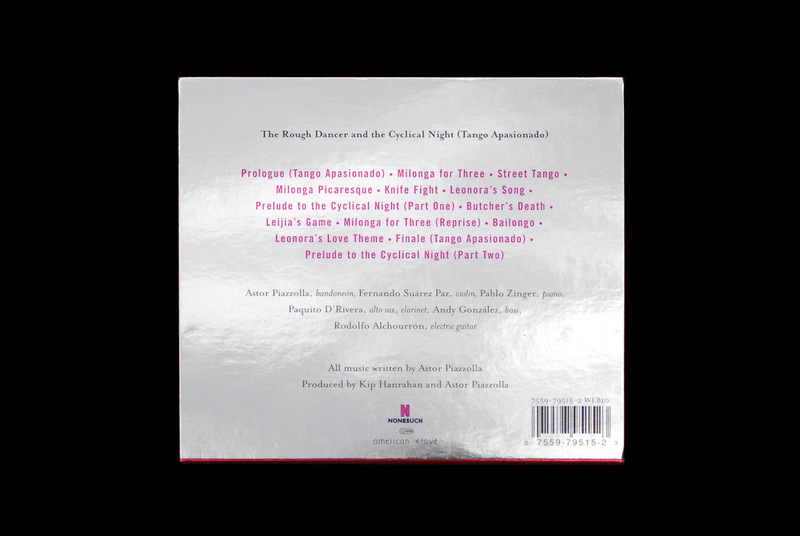 Notes The Rough Dancer and the Cyclical Night (Tango Apasianado) was the follow-up to Piazzolla’s widely feted Tango: Zero Hour (Nuevo Tango: Hora Zero). It formed part of a loose trilogy that concluded with La Camorra: The Solitude of Passionate Provocation. 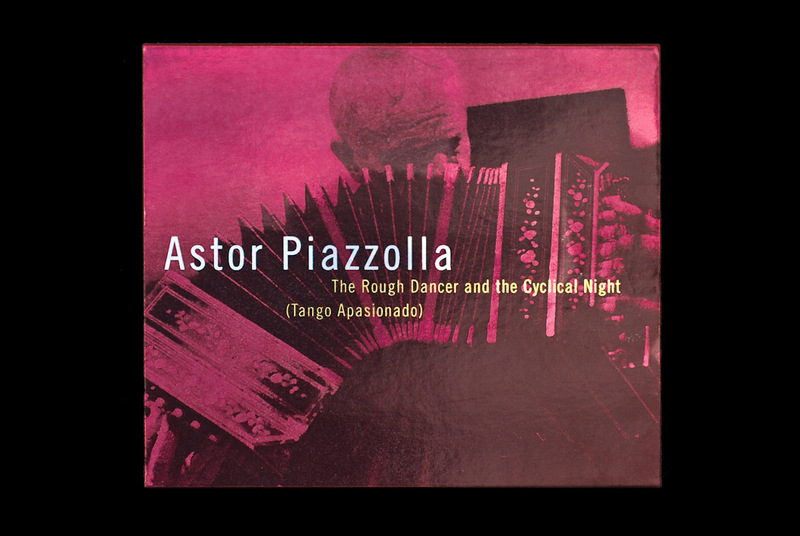 These albums, together with Five Tango Sensations, were to be Piazzolla’s last before his death in 1992. 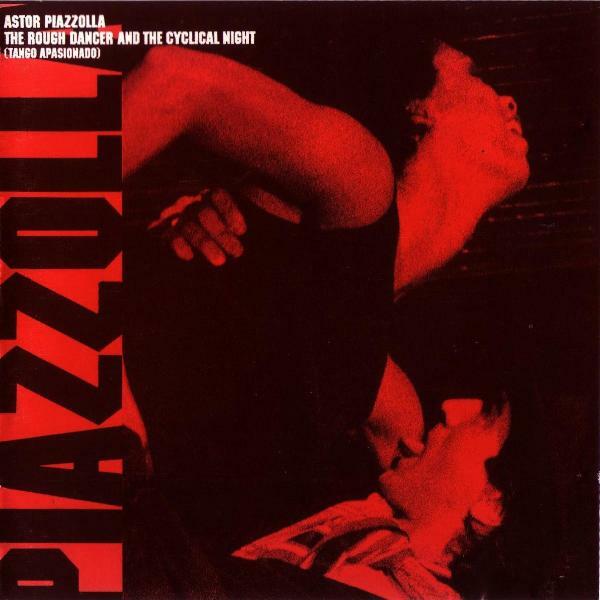 This version of the album is a remix of the design produced for the rerelease on Nonesuch. The album was originally released on Kip Hanrahan’s criminally underexposed American Clavé label. Both share the same imagery, but place significantly different emphasis. 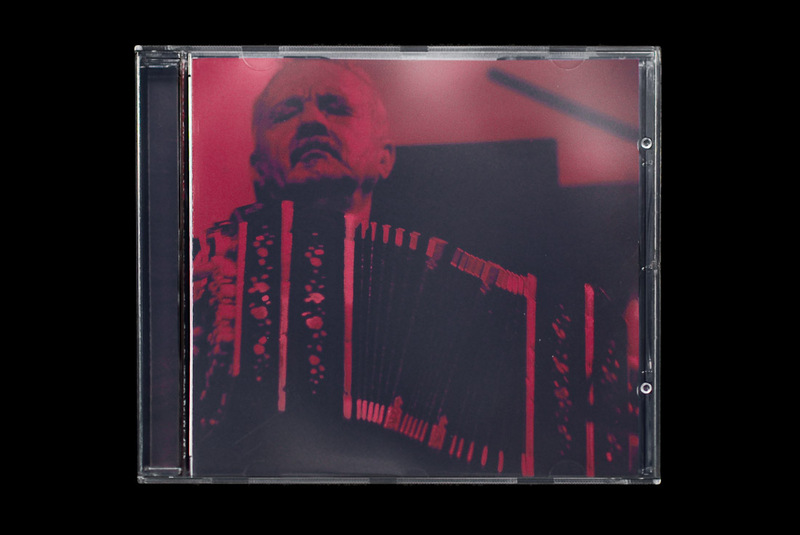 Fittingly in my view, the predominant image in the newer version is Piazzolla himself, captured in deepest concentration playing his bandoneón. 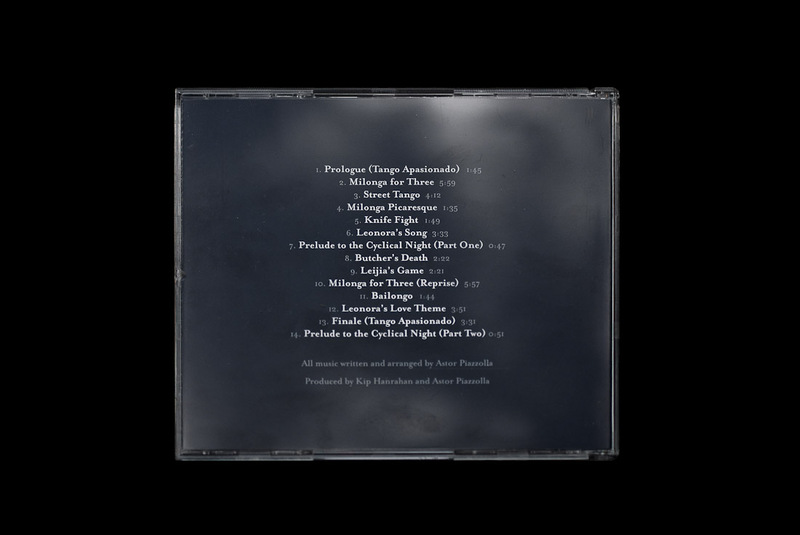 The dancers, man’s tongue extended, his partner’s head thrust back in pleasure is relegated to the CD tray, revealed by removing the CD itself. 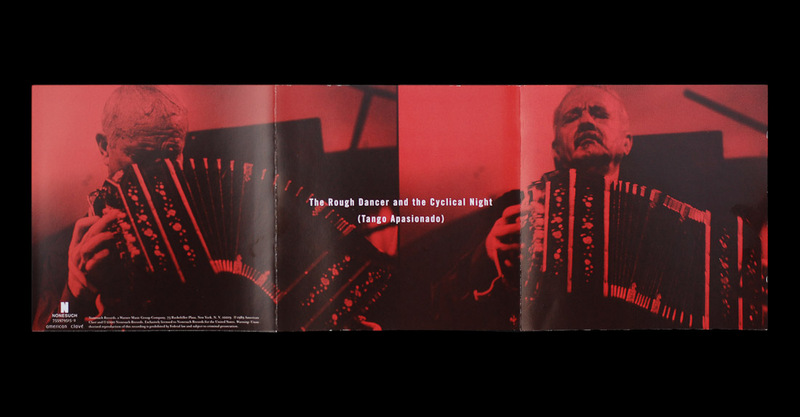 The rich red duotone colouring applied throughout underline the passionate experience of the music while the shiny metallic finish applied to the outer sleeve imparts a fascination to the whole design that can’t help but awaken the inner magpie in its beholder.